In this truly transformational project, Blue Door Painting was tasked with converting a dreary and dated Chicago River West two-bedroom condo loft into a modern and appealing rental apartment. 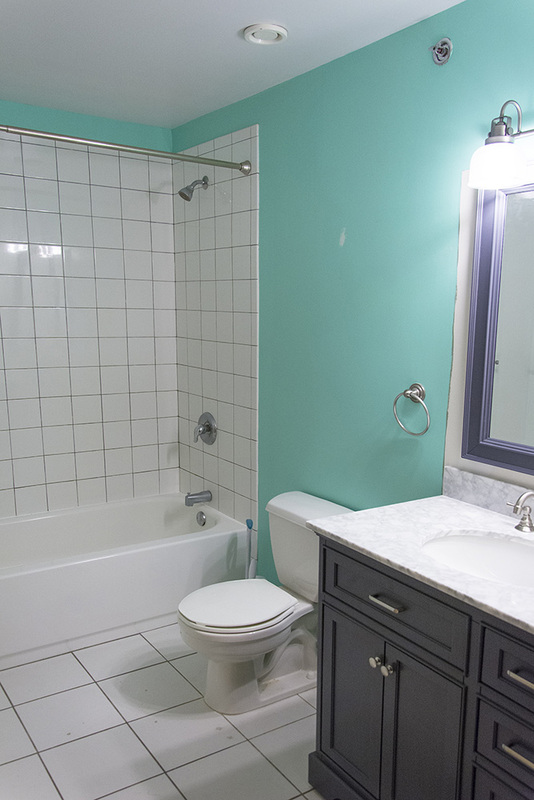 To achieve this major transformation, the Blue Door Painting team painted the entire interior of the home: walls, doors, trim, ceilings, closets and the kitchen cabinets. The color used throughout the unit was a lovely shade of white called Chantilly Lace by Benjamin Moore in a matte finish. The decision to use a single white color throughout is in keeping with the loft style of the dwelling and enhances the modern and open space yielding a clean, crisp feel which is perfect for a rental apartment. The Before and After pictures of this project really tell the story. The small apartment was painted in a jumble of colors ranging from blue to purple, peach, green, beige and gray which created a feeling of chaos and confusion. The conversion to pure white complements the loft's unique architectural elements such as the exposed pipes in the ceilings and gives the home a much brighter and larger feel. The final and critical component to achieving the full transformation of the space was to paint the kitchen cabinets white and install new door handles. 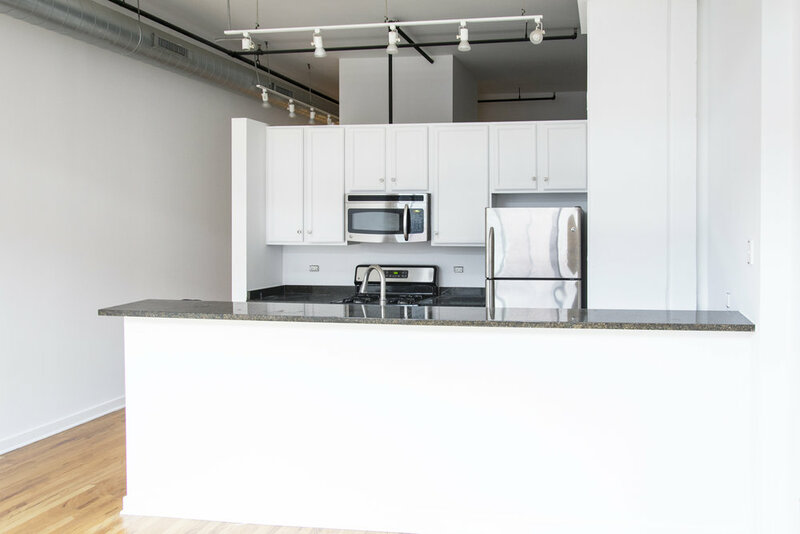 This single step brought the entire unit up to modern rental standards allowing the owner to charge higher rent and making the unit more competitive in the hot Chicago rental market. 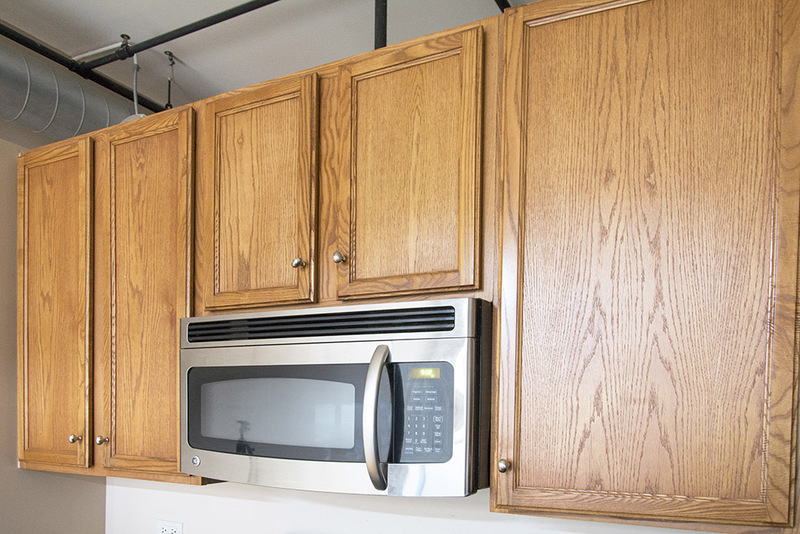 PRO TIP: Painting kitchen cabinets is a fast and inexpensive way to bring a major update to your kitchen, saving you thousands of dollars and weeks to months of contractor hassle. 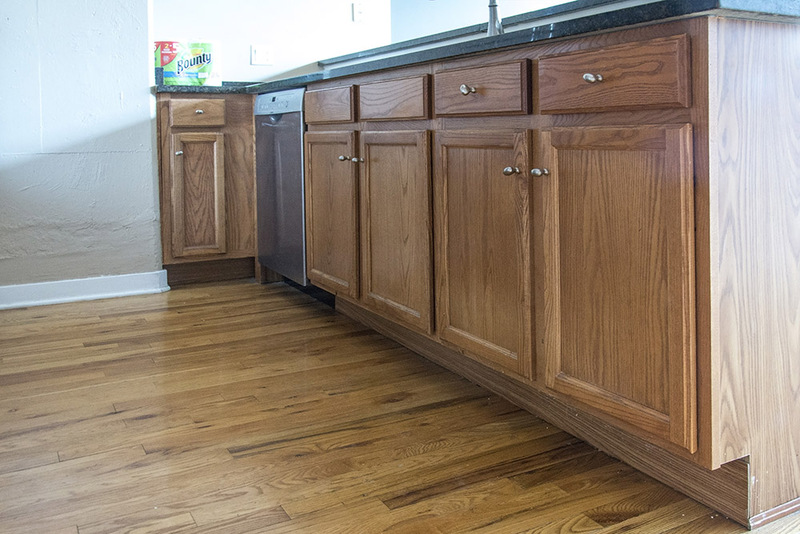 Please check out our cabinet painting page to learn more about our quality cabinet painting and refinishing process for kitchen and bathroom cabinets. Below you can see a video showing whole cabinet painting process. This entire project was completed in 10 days (3 days for condo painting and 7 days for offsite kitchen cabinet painting) and cost $7,000. Blue Door Painting is a fully insured and highly experienced condominium painter. We work with the condominium board or management office to schedule the job within the hours allowed by the building and provide any requested certificates of insurance prior to beginning work. Call Blue Door Painting today to get a free estimate for your condo painting project - we are fast, professional and affordable! 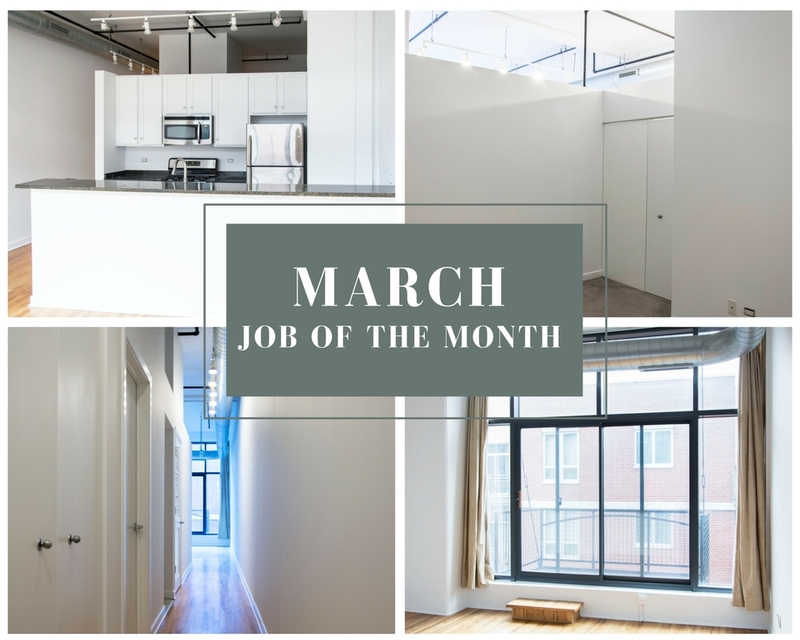 We hope you enjoyed reading this post from Job of the Month Series. Stay tuned for other interesting Chicago painting projects by Blue Door Painting!